You know that aside from getting used to your new spouse, there are a lot of other things to adjust to once you return from the honeymoon. While you know about the duplicate wedding gifts to exchange or return, and your mother is reminding you to finish writing Thank You notes, you might not remember all the other things you need to do. 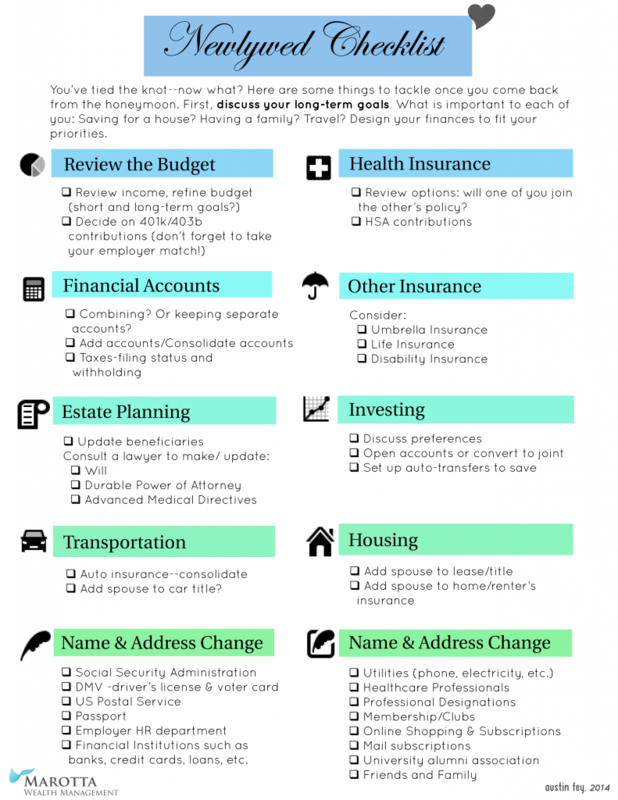 The list is a little daunting, but take them a few at a time, and you can get your new life in order without worrying about overlooking the essentials (click the image to download a pdf list).